Vincennes University Business & Industry, in partnership with the Mid-America Science Park and Scott County Economic Development Corporation’s Regional Manufacturing Alliance (RMA), awarded Basic Leadership and Manufacturing Quality training certificates to 56 students on October 24. The trainees are employees of Scott County manufacturers: American Plastics Molding Corporation, Austin Tri-Hawk Automotive, ILPEA Industries, Samtec, and Viking Plastics. "The Mid-America Science Park is focused on creating opportunities for Scott County residents while developing a skilled workforce for regional employers," said Joe Pearson, Ed.D., executive director. "Our partnership with the RMA and Vincennes University gives local residents a chance to earn important industry certifications and learn valuable skills they can begin applying at work right away." Area employers received Workforce Training Grants through Next Level Jobs to facilitate training. Next Level Jobs - part of Governor Eric Holcomb’s Next Level Indiana agenda - aims to equip working-age Hoosiers and Indiana employers with the training and skills they need to succeed in the 21st Century economy. The program was developed in partnership by the Governor, the Indiana Commission for Higher Education, and the Indiana Department of Workforce Development with support from the Indiana General Assembly. “These RMA courses were designed specifically for what local manufacturers need to remain globally competitive and located in Scott County. The leadership training focuses in on many problems first-time supervisors experience in a manufacturing environment - from how to conduct a meeting to using active listening skills to lead a team. “Our Quality Bootcamp reviewed quality control methods in manufacturing and how to ensure best practices for the job,” said Shanni Simmons, assistant vice president of Lifelong Learning at Vincennes University. The Regional Manufacturing Alliance (RMA) is a consortium of partner employers, Vincennes University, the Scott County Economic Development Corporation and the Mid-America Science Park. 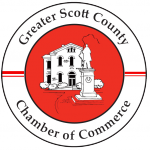 The RMA was created by the Scott County Economic Development Corporation to strengthen the position of regional manufacturers by working collaboratively to engage, advocate and educate. The City of Scottsburg created the Mid-America Science Park in 2011 with the vision to attract and retain well-paying jobs for area residents and enrich the quality of life in the region. For more information, please visit www.maspark.org/rma.